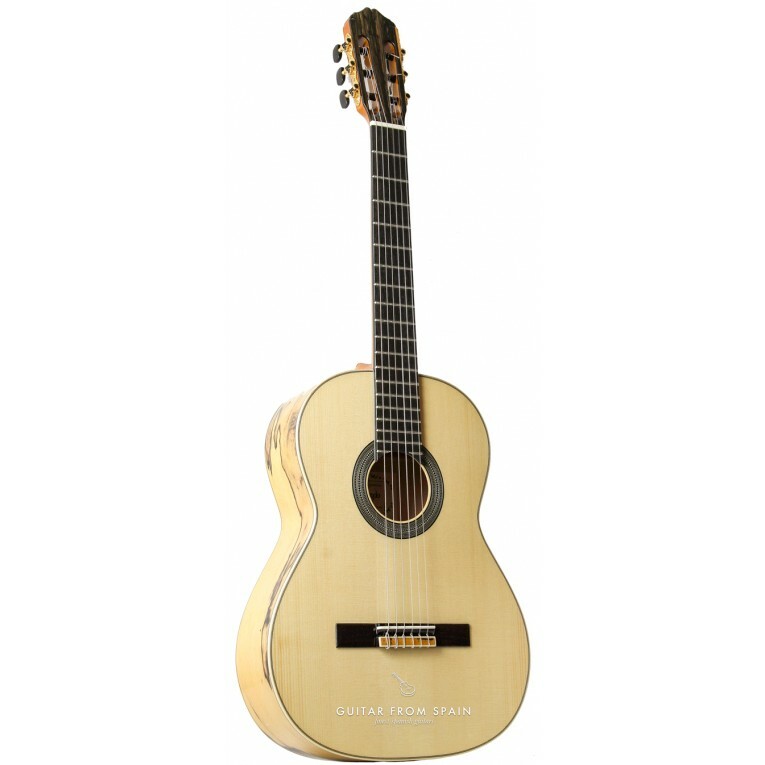 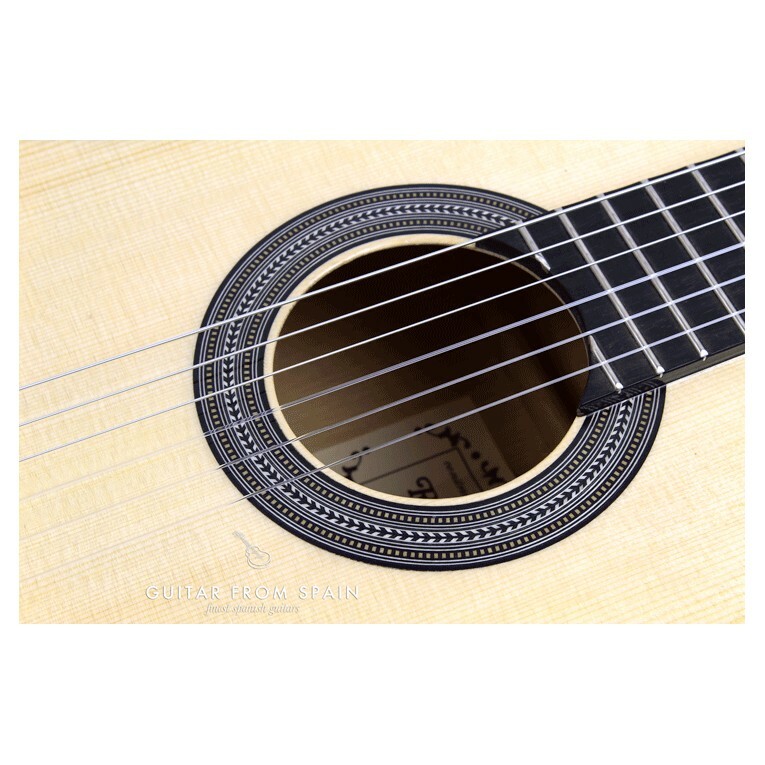 The guitar Raimundo 133 Ebano Blanco is a classical guitar made with a white ebony body for a distinguished and exclusive appearance. 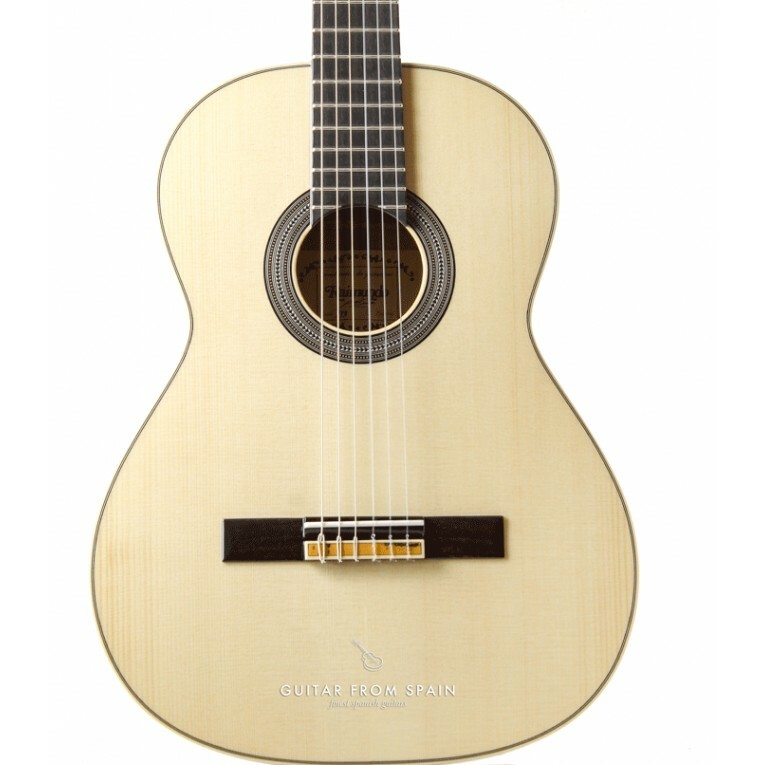 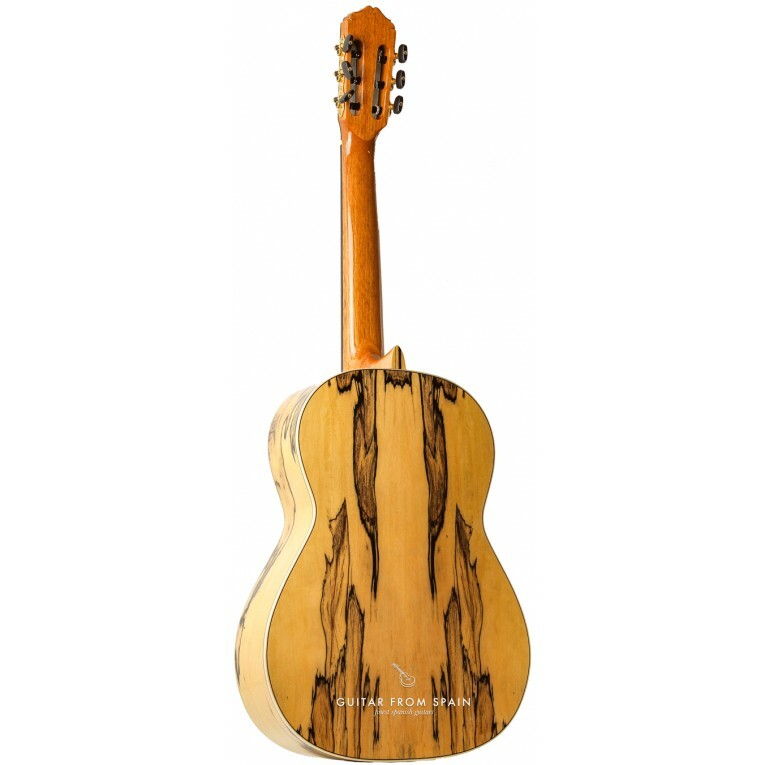 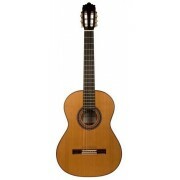 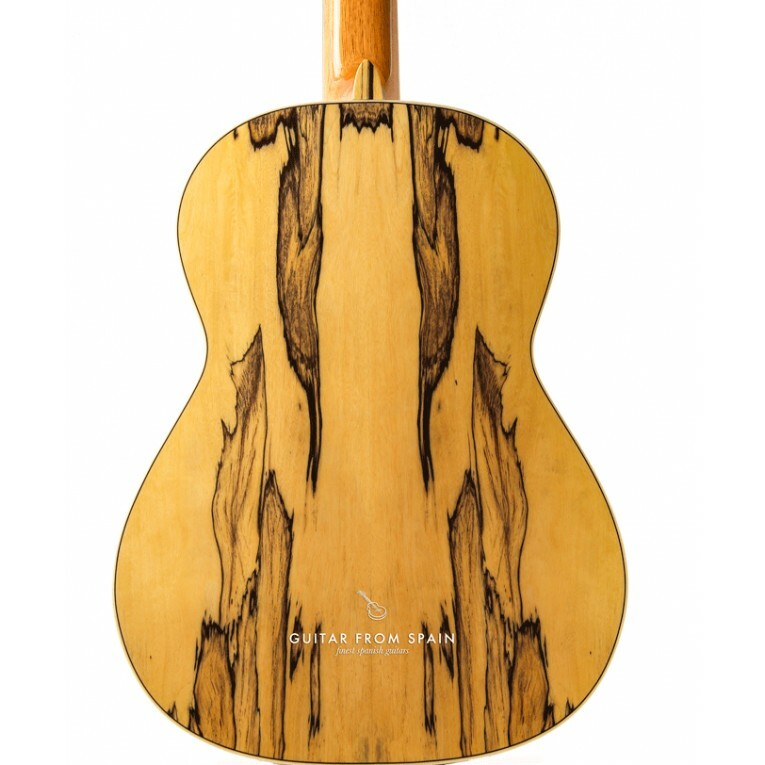 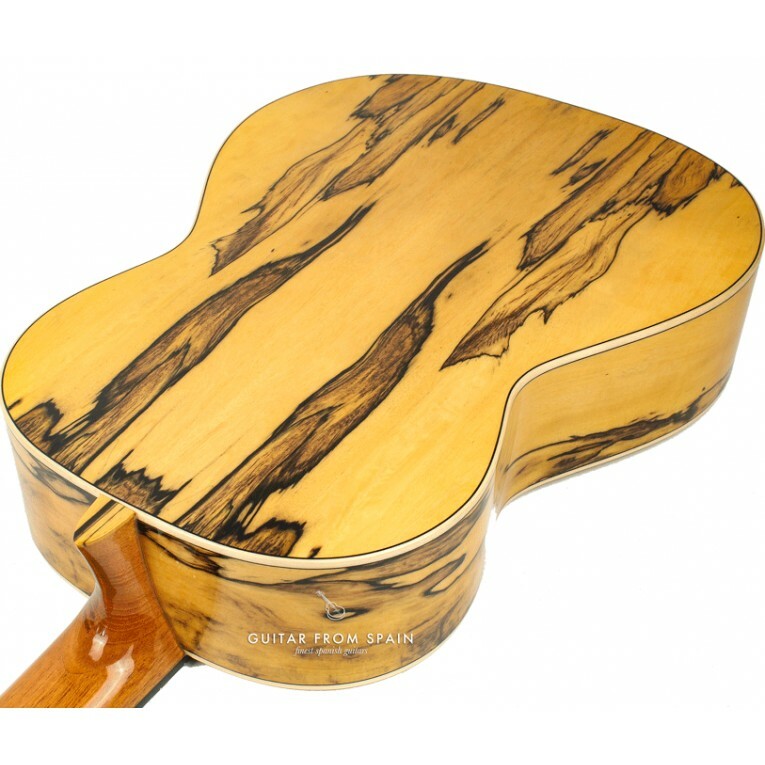 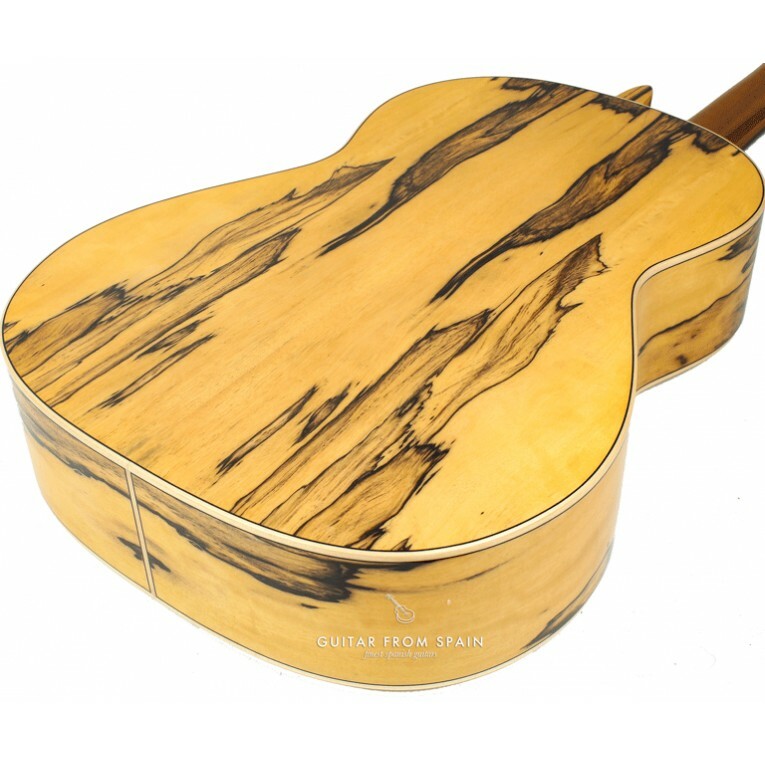 This very unique guitar is made with solid cedar top or solid spruce top, white ebony back and sides, cedar neck and ebony fingerboard. 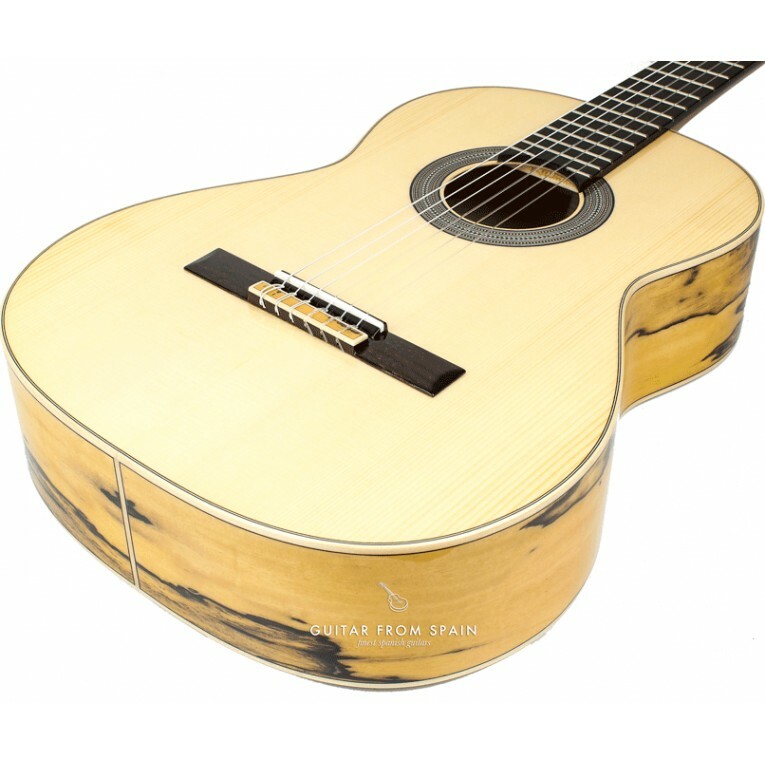 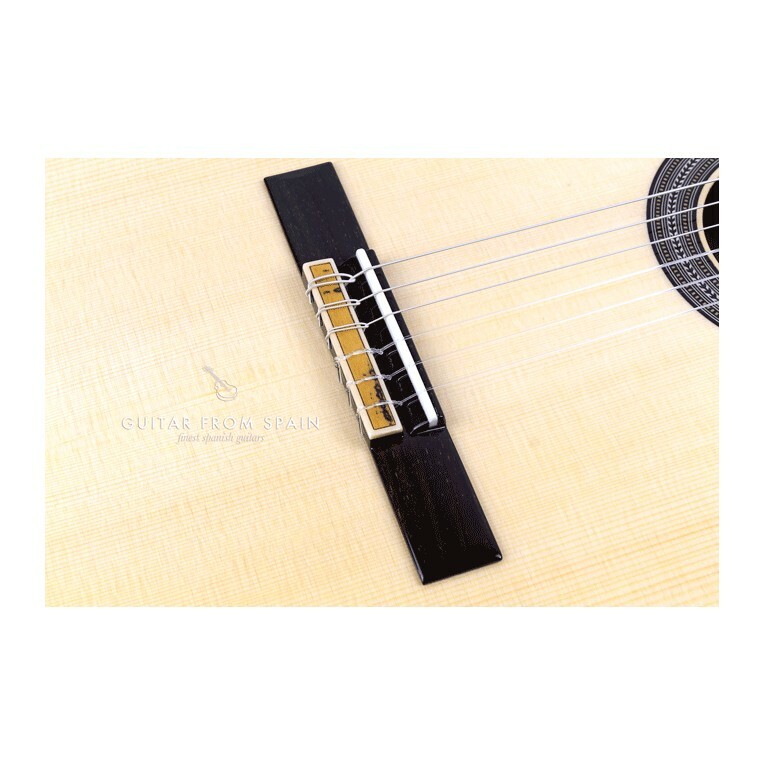 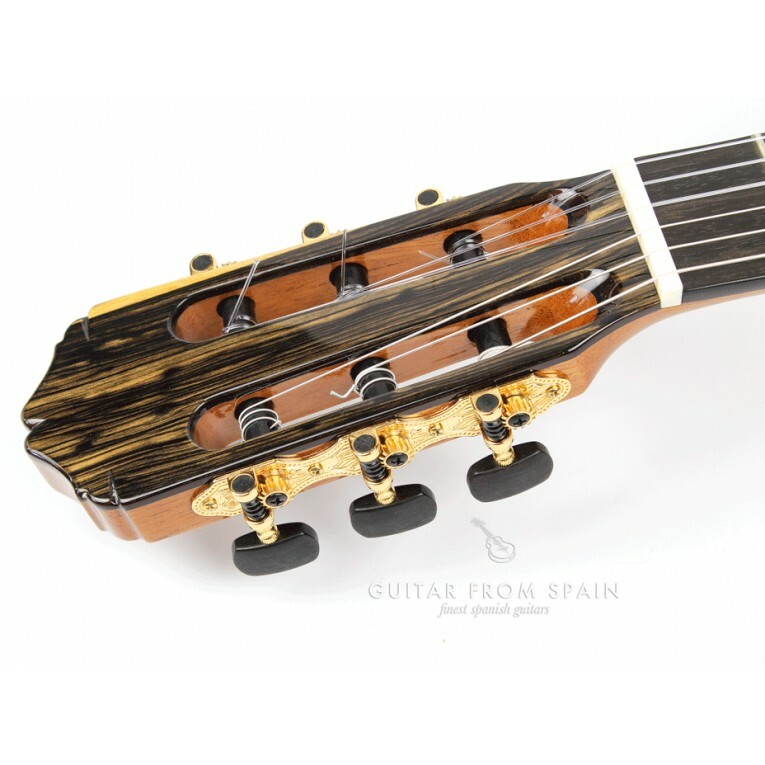 The appearance of the guitar is spectacular, thanks to the beautiful veining of the white ebony wood, the sound of the guitar, like most Raimundo's is warm, clear and has plenty of volume and projection. 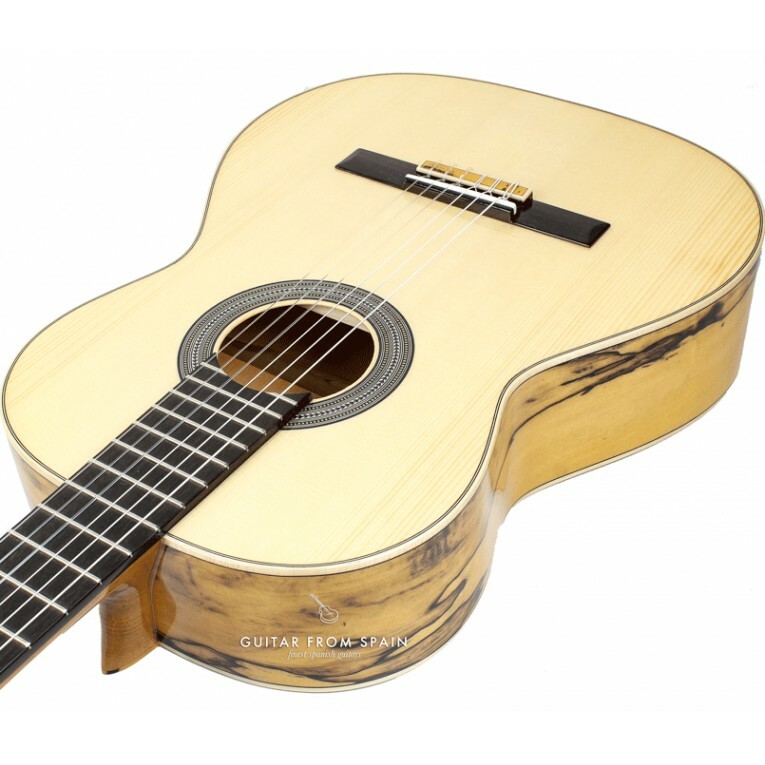 A very nice guitar with an exotic look and a very nice sound.